After having watched “The Captain”, New Girl‘s 4th (and best) episode of season 3, I’ve begun to feel an uneasiness about where the show is headed. More specifically, I’m nervous about what the show will do with Schmidt. The show has managed to continuously grow and improve since season one by giving depth to all the characters. Even Winston, the least developed character on the show, has gotten more character development this season. While New Girl started out as an uninspired show about a main character moving in with three incredibly broad roommate-types, it has evolved into a hilarious and heartwarming show with an ensemble cast. Nick and Jess’s relationship has developed throughout the 3 seasons, which has caused the show to head in a new direction, as well as gave the characters an organic way to keep moving forward. I’m worried about Schmidt because it feels like he’s getting left behind. New Girl can survive the relationship. In fact, many of the best episodes and scenes come from something having to do with Nick and Jess. While Nick and Jess are off in their own plot, Winston has thrived on his own. The solo storylines are some of the best he’s ever received, and Lamorne Morris can make almost anything funny. The big issue arises in Schmidt’s storylines. I’m afraid that Schmidt won’t survive the relationship because he hasn’t been given real growth since he was the breakout character in season one. In previous seasons, the majority of his storylines had to do with Cece, and now that Schmidt screwed up their relationship yet again, I don’t see what more they can do with him. It’s very possible that this won’t end up being a big deal when we get into the later episodes of the season, but as of right now Schmidt’s scenes are my least favourite parts of the episodes. I’m finding him to be whiny in the worst way, which I assume will only get worse if he continues moping about what he did to Cece and Elizabeth (we saw the start of this at the end of the episode – I would love for that to be our only glimpse). Having him hang off Nick and Jess has become unbearable as well, especially his attempts to break them up. Schmidt has never been the nicest character, but without at least the love of himself he’ll be a shell of who he was. If Elizabeth Meriwether and the other writers have learned anything in the past three years — they definitely have, since the show has always been improving — they will let the Schmidt and Cece relationship die permanently. New Girl has been very good about subverting normal television conventions when it comes to the “will they/won’t they” relationships; I think they could also be successful by keeping characters apart. 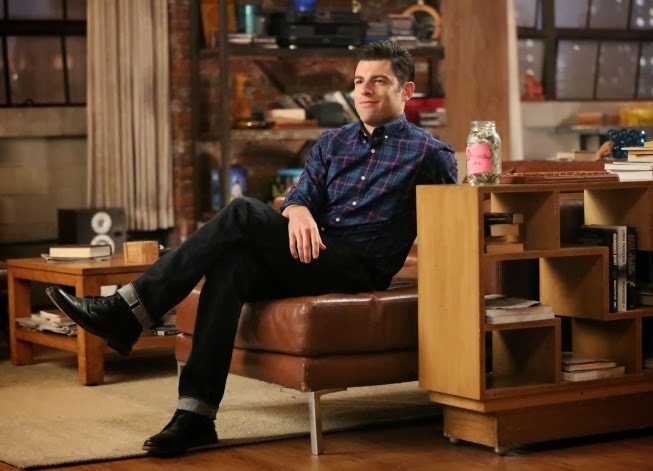 Schmidt needs to grow as a character with storylines that don’t rehash everything he’s done before, so that Max Greenfield can continue making us laugh for the (probable) many seasons to come. I simply want to say I’m all new to weblog and certainly savored you’re web blog. More than likely I’m going to bookmark your blog . You absolutely come with impressive articles. Cheers for revealing your website page.